In Years 7, 8 and 9, all students study Drama on a weekly basis. There are a range of lessons, projects and schemes that students work on during key stage three, including Shakespeare, mask work, stage fighting and much more. The basic techniques are taught in Year 7 and then built upon with new projects in Years 8 and 9. Within the lessons, students will be expected to work cooperatively in different groups, and will participate in different practical and written tasks. It is very important that students are willing to listen and learn, as all Drama activities require self discipline and a sensible attitude. The Drama department places great emphasis on good behaviour and respect for other people, and we believe that all students are entitled to develop their Drama skills in a safe and positive environment. In Year 7 students are introduced to the key skills that underpin drama methodology and practise. Students begin the year with an ‘Introduction to Drama’ that includes games and activities that enable them to work successfully in a practical subject with foundation skills including mime and improvisation. Students also gain an understanding and awareness of Drama as a theatrical art through the study of semiotics with character and plot coming to the fore in their scheme of work on ‘Hamlet’. Drama genres and history are introduced through schemes of work on Greek Theatre and Melodrama. In Year 8, students develop their learning of drama by deepening their understanding and use of the skills learnt in Year 7. 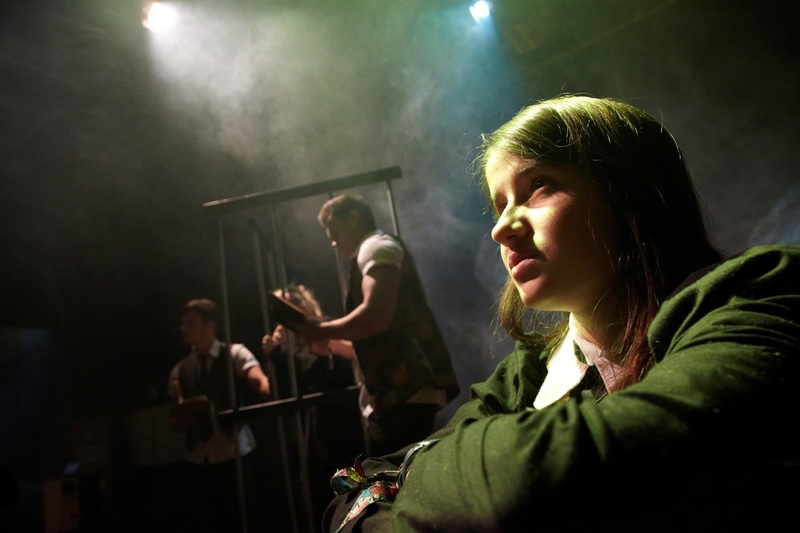 Students are introduced to studying text and character in more detail through the play ‘Blood Brothers’ which includes performances of monologues and duologues. Knowledge of genre and style is developed through the study of Commedia Dell’Arte which includes stock characters and key comedic techniques. Student’s confidence in working with each other is enhanced through their study of Physical Theatre. Year 9 begins with an Introduction to GCSE giving students an opportunity to explore the theory and practise of Drama at KS4 in readiness for choosing their options in the Spring Term. The rest of the year is built on the foundation of the GCSE unit with students broadening their knowledge and skills by studying Directing and the work of companies and practitioners including Stanislavski and Frantic Assembly. Students are also introduced to new and innovative theatrical styles such as Verbatim and Physical Theatre. A full subject overview can be found below.